When an individual sustains an injury, it can be challenging to move forward and heal without help. That is where physical therapy comes in. Physical therapy allows healthcare individuals and persons who have been trained to aid those who have sustained an injury so that they can improve with their mobility and reduce the pain that they experience. This, in turn, helps to improve each patient’s quality of life. When an individual arrives in physical therapy, they are met with to discuss the patient’s history and undergo a physical examination to establish a plan for physical therapy that is tailored to the needs of the patient. Sometimes it is necessary to perform X-rays and CT-scans to get a better look at the injuries that the patient is suffering from and needs therapy for. 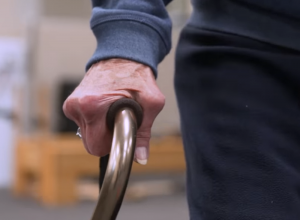 Once therapy begins, the patient generally has a series of exercises he or she completes as well as manual manipulation and other forms of treatment to start healing and enjoying a more substantial amount of mobility. Physical therapy is excellent for those who have sustained an injury that has limited their mobility and enjoyment of each day. Not only does it help to strengthen the body and promote healing it improves quality of life and makes each day brighter.